Throughout history, mankind has either held the Owl in high regard or as a symbol of death and destruction, luckily today these negative views are all just historical superstition and the Owl has become one of the most recognisable and loved Birds in the world. Feathers and Fur understands and shares in this love for Owls which is why we are very happy to announce our brand new Owl Experience specifically designed for adults. Whether for yourself or as a gift this new session offers the totally unique opportunity to come down, meet and fly some of our wonderful collection. 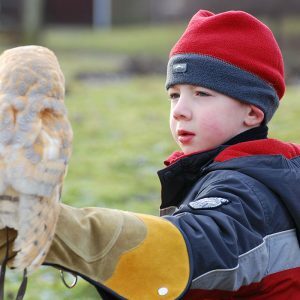 From our characterful and tiny Little Owls, to the magnificent and awe-inspiring European Eagle Owl. 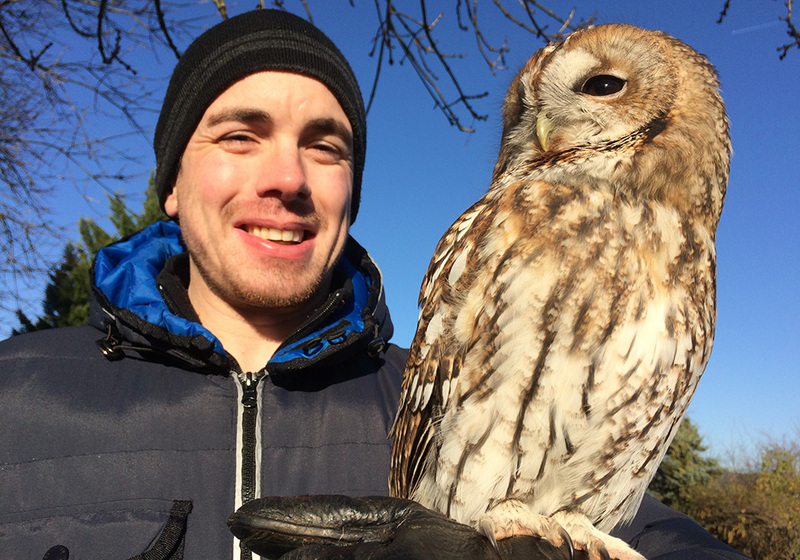 The 1 hour Owl Experience takes place Tuesdays to Sunday and are limited to 6 participants ages 16 and over. This experience can be purchased as a voucher and is valid for 1 year. Our meeting point is Ladd’s Garden Village, Reading, Berkshire. 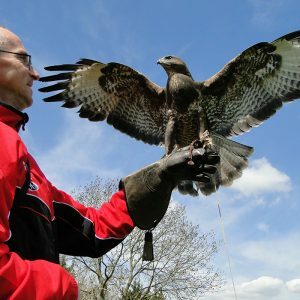 Feathers and Fur has a purpose-built centre within Ladd’s Garden Village where the birds are on show to the public. 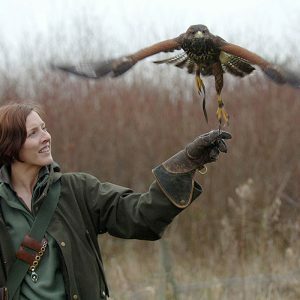 Here you meet the falconers and after human introductions, you are introduced to all our birds. Then its time to meet the owls, out in the flying field or in the yard owls are flown to the glove whilst the falconer explains training techniques, individual characters, the habitats and lifestyles of each species, all the time allowing you plenty of opportunity to appreciate and photograph these exquisite works of nature. Booking your session date couldn’t be easier, simply drop us an email using the Contact Us form or via info@feathersandfur.co.uk with an idea of days that you can make, i.e. let us know if you can only make weekends or if you can do week days and we will let you know all the spaces we have available. Weekend and school holidays fill up months in advance so please don’t leave it till the last minute! 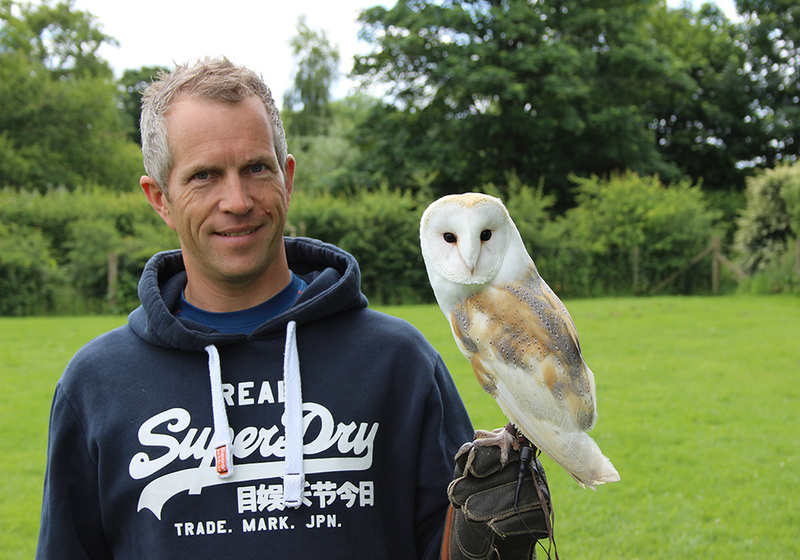 Just a quick, slightly belated email, to say THANK YOU for the fantastic Owl Experience that we had last week. We both thoroughly enjoyed meeting your ‘family’ and learnt so much! Again, thank you so much! We will be sure to come back soon! 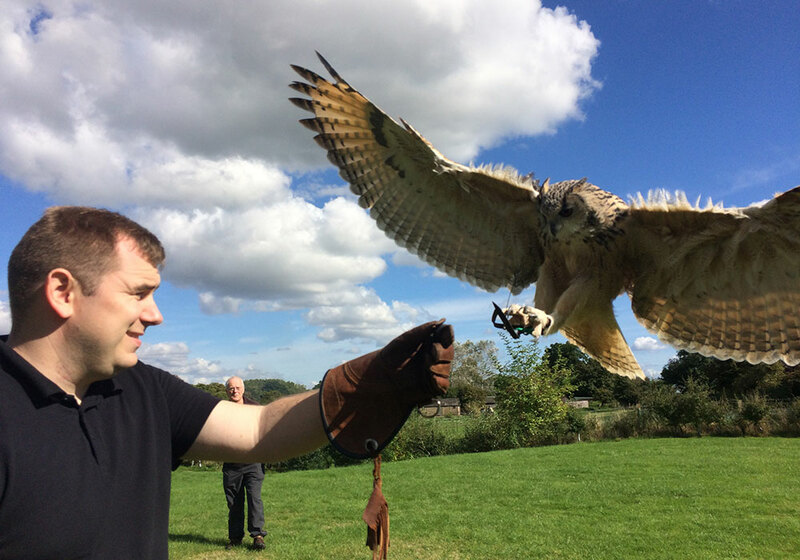 I attended the Owl Handling experience yesterday (Sunday 14th) and just wanted to let you know how much I enjoyed it. 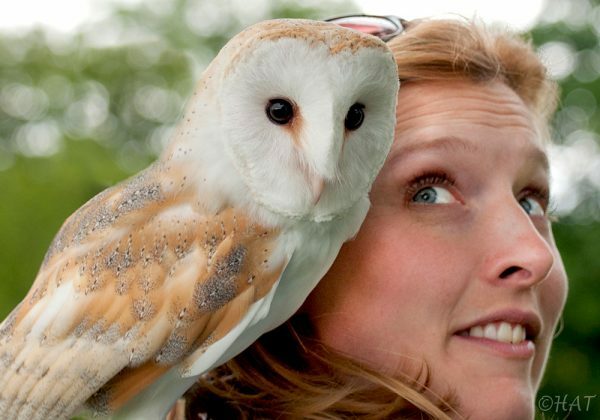 Handling the lovely owls was exciting and exhilarating and to see them so close up was truly amazing. In addition, I found your enthusiasm and passion for the owls very touching and clearly they are happy creatures! You also have an amazing knowledge and answered all queries easily. I intend to return in the summer to have some time with the falcons! Absolutely brilliant! We had our owl experience today and we haven’t stopped talking about it, Sadie was so enthusiastic about the knowledge and love for her birds. From start to finish it was a perfect day out. Highly recommended and we will be coming again! Have just had THE most fantastic Owl Experience with Olivia. Utterly amazing. Hands-on owl handling experience. The most fantastic close encounter I’ve ever had. Thank you Olivia you were brilliant and so informative. I would recommend this to EVERYONE not only for children! !